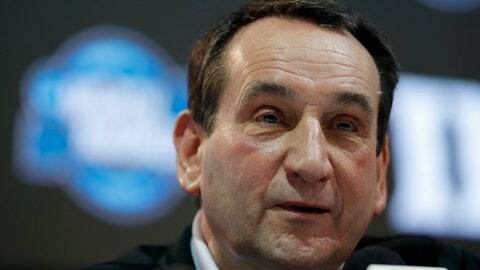 DURHAM, N.C. (AP) Duke took a step forward during the recently completed academic year. Athletic director Kevin White thinks the Blue Devils can do even better. Duke finished 11th in the final standings for the Director’s Cup, awarded annually to the school with the best performance in all sports. That’s a significant improvement from the school’s No. 32 finish in 2016-17, and it could have been even better. Duke had seven teams that White described as ”knocking on the door to win a national championship” – including in men’s basketball, the school’s flagship program – but none did. The Blue Devils’ highest-profile near-miss came in men’s basketball, which was a rimmed-out shot against Kansas from reaching the Final Four for the third time since 2010. The men’s lacrosse team reached the NCAA championship game but lost to Yale, and the baseball team made its first super regional but fell one victory shy of its first College World Series appearance since 1961. As for the upcoming 2018-19 season, White said he ”can’t get my head around next year yet” but that while several key programs could face a rebuilding season, ”I think we’ve got a chance to be pretty good.” The men’s basketball team figures to enter the season as a national title contender once again with another recruiting class full of potential one-and-done players and the football team returns 16 starters from the group that won the Quick Lane Bowl. The various construction projects on the campus in Durham are drawing to a close, with renovations at Wallace Wade Stadium and the new plaza linking it to Cameron Indoor Stadium completed. White says the department is considering improvements to the men’s and women’s basketball locker rooms at Cameron ”in the not-too-distant future,” though the specifics aren’t quite ready. He added that some ”pretty modest projects, in terms of dollar volume” are scheduled for tennis and field hockey facilities. The next big goal for the department, White said, is endowment, and he said the school is ”thinking about, strategically, how to go out into the marketplace and make that happen.” He declined to say what the fundraising goal might be.